We all know we need a first-aid kit at home when we have kids. But do you carry one in the car? Since we spend so much time on the road with rambunctious kids, being prepared for minor overzealousness and medical mishaps is essential. 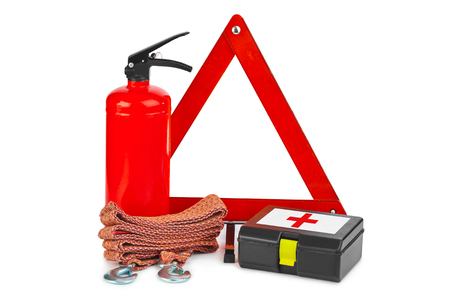 Below you'll find the car first aid kit items you won't want to be without for both big and little bumps and collisions on the road ahead. So what goes inside your car first aid kit? 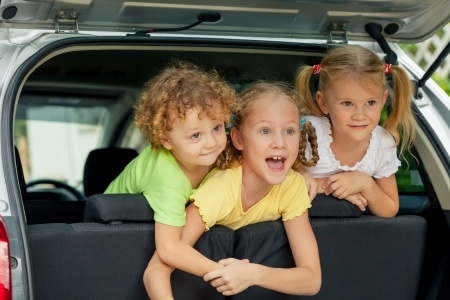 Emergency contact list (Just in case your babysitter is driving when an accident occurs. Include mobile numbers for you and your spouse, as well as names and numbers for the doctor, the orthodontist, and even the veterinarian if you bring the dog along for outings. This is the stuff everyone needs in case you have a car problem or accident, whether kids are on board or not. Keep these in the glove compartment. Finally, complete your car first aid kit by storing a “Send Help” sign nearby. Just pray that you or your designated driver never need it. If you remember to charge your cell phone, you probably won’t.